8 mi. | 1650′ ele. gain | 4 hrs. 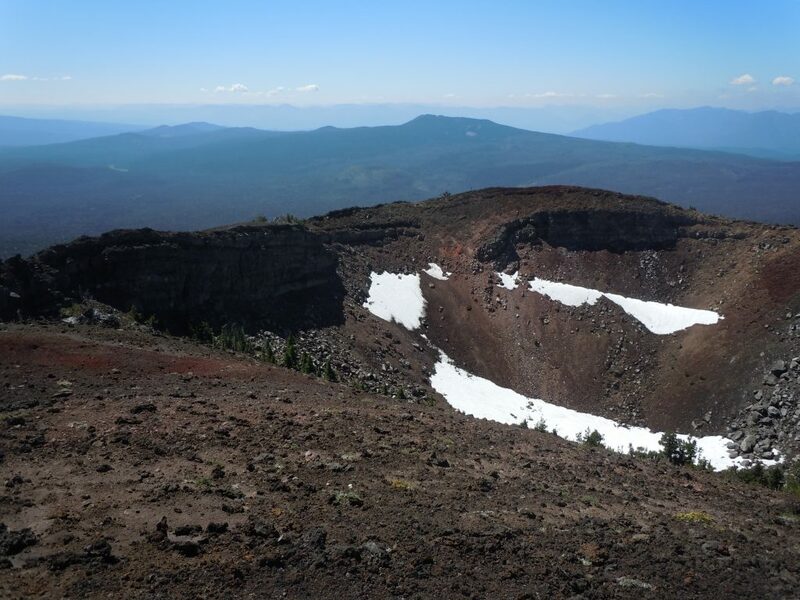 Day two of our Central Oregon getaway took us out on the lava field: Belknap Crater. Plus, some associated points of interest as narrated in the Green Book. We started at Dee Wright Observatory, a stone building made from the abundance of lava rocks at McKenzie Pass. From the lower level we could peer through stone windows towards distant mountains. From the upper level we could identify those mountains using the mountain finder. Plus, there was a great vantage point down on the road. It was insane to imagine how difficult it must have been to put a road in through this massive lava flow. At the trailhead we noticed a large water cache that was clearly marked for thru-hiker use only. In fact, the sign indicating that threatened bodily harm to anyone NOT a thru-hiker who took water from the cache. Fortunately we were well-supplied. There was absolutely no shade on this hike, so we’d bake in the sun all day. The trail started in a small patch of trees but quickly led on to the lava. 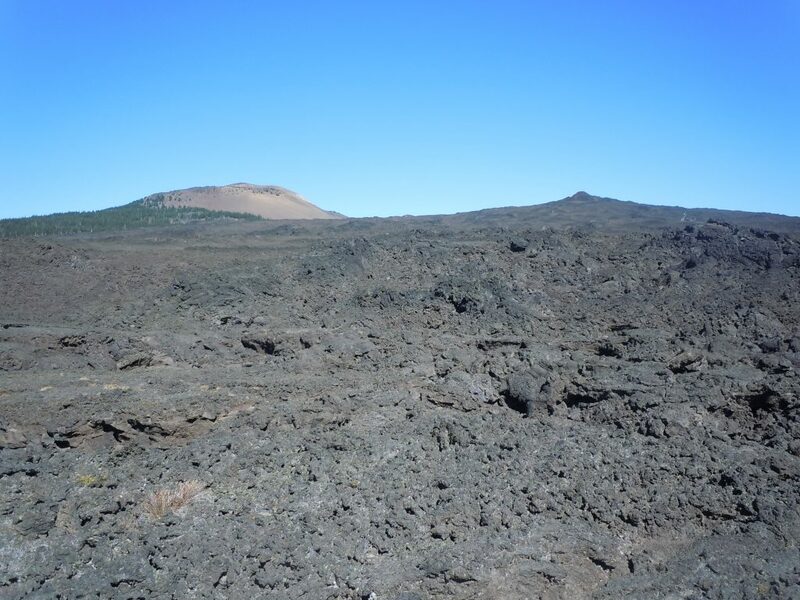 The lava landscape was stark, other-worldly. 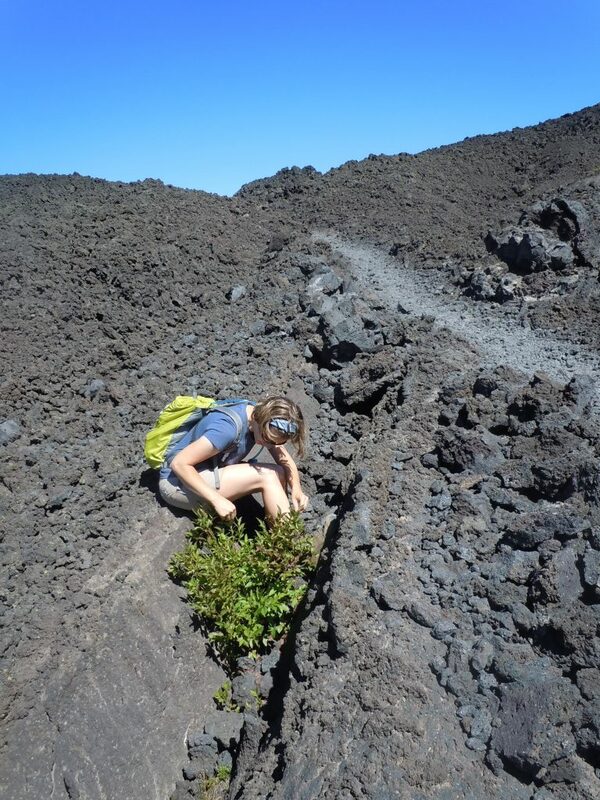 Much to our surprise, we found some huckleberry bushes growing in a trough within the lava flow. This was the last place I’d ever imagine foraging for food! At the Little Belknap Trail junction we turned to head up this little lava knob. Near the summit, the black rock turned to red and it got a little grittier. From the summit we looked down at a snow patch that had somehow remained into August. So many inexplicable things up here. On our way down we explored the lava, looking for the caves and tunnels mentioned in the book. Then it was back to the main trail to find a path to the bigger of the two bumps out here, Belknap Crater. No official trail makes its way to the summit but the wide-open terrain made routefinding a breeze. The way up was steep though, and it was hot again today. We paused frequently to catch our breath and enjoy the Cascades views. 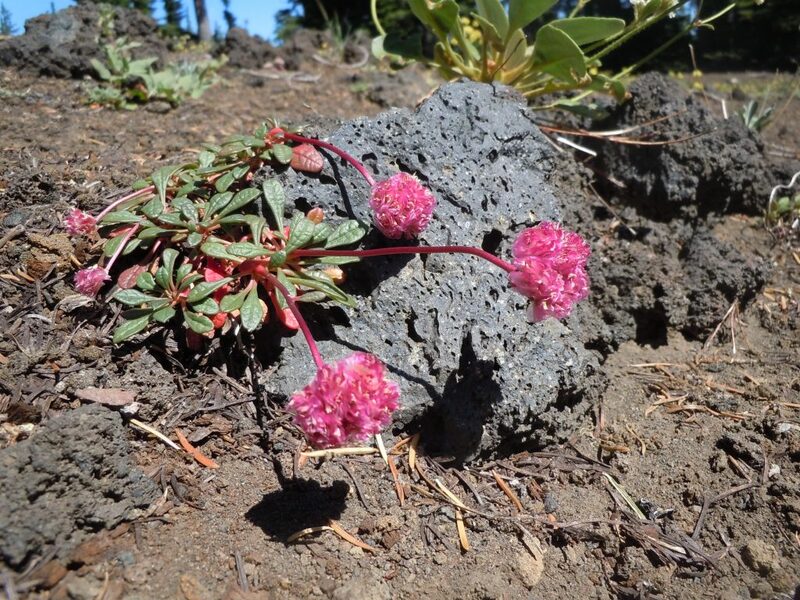 From the summit, we discovered large snow patches inside the crater and some pretty pink flowers growing among the rocks. It was absolutely delightful up there. Walking back down to the PCT was way easier than walking uphill! It didn’t take too much effort to return to the car. And like that, 2 days was over. A fun adventure with great friends! 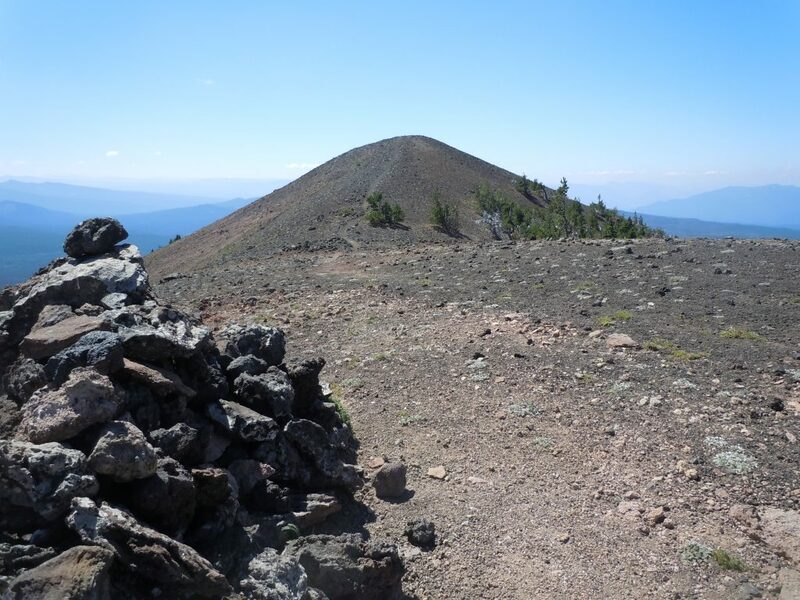 This entry was posted in Hiking, Oregon and tagged hike366 on August 23, 2012 by Jess B.